DISPLAX™ is an innovative fledgling company based in Portugal that is developing some of the most advanced Multitouch technology available. DISPLAX™ FUTURE LABS (The internal R&D team) is dedicated to working with international research networks, promoting and benefiting from human resources and intellectual property exchanges with the most advanced research labs in the world while creating channels of knowledge and excellence. 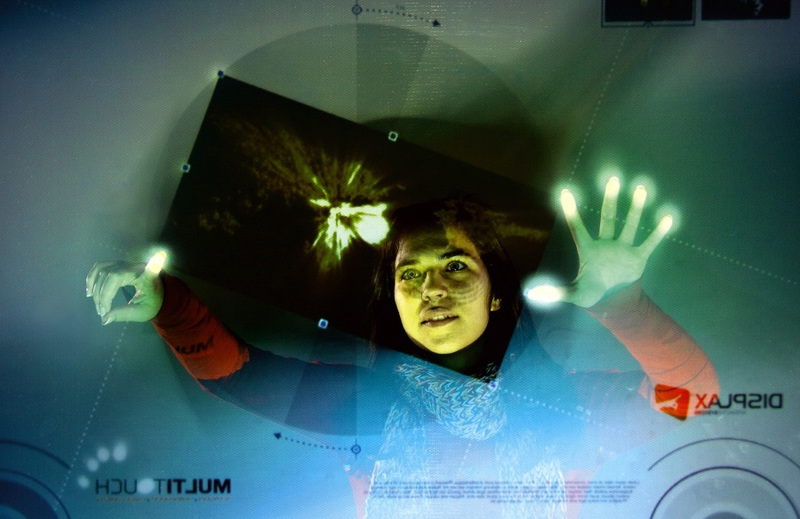 DISPLAX™ offers high-end innovative interactive technologies like finger interaction with holographic screens, as well as a wide range of displays, floor interaction, personalized interactive solutions, systems, projects and much more to come. DISPLAX™ works with dozens of Business Partners that offer applications and support local end-users on a worldwide basis. 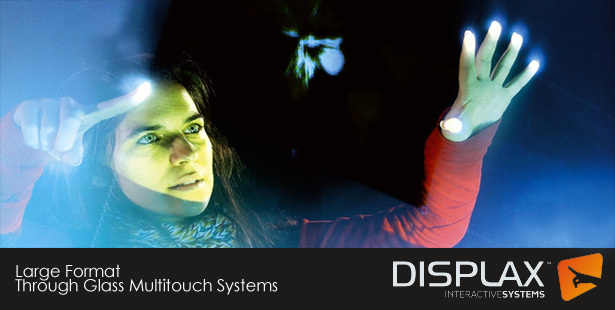 EmberLight is working with DISPLAX™ as New Zealand’s preferred channel partner for their range of patented through glass capacitive, rear projection Multitouch hardware alongside our in-house consulting, software application, GUI development capabilities and third party integration/development partners.Resellers in New Zealand and Australia welcome. Direct enquiries for installations, consulting or for more general info please Contact Us. 2, 6 or 12 true independent touches. Excellent accuracy due to high number of sensing intersections. Excellent touch response time <22ms. Works through a wide range of thicknesses, up to at least 20 mm glass. Works with finger and gloved finger. Sizes from 30’’ to 100’’, with 4:3 and 16:9 aspect ratios. Two units can be applied to the same glass (e.g. side by side). Permanent and removable/reusable adhesives available. Plug and play Windows 7 and 8 Touch Gestures support. No need of proprietary SDK or software development kit. Palm rejection capability and edge rejection capability (define touch area). Sensor test window function (capability to check sensor and automatically send results to DISPLAX support). Noise reduction feature in software. SDK, Application Suite and Content Management software available. Touch gestures: Microsoft Windows 7 & 8 Touch Gestures, TUIO Compatible.